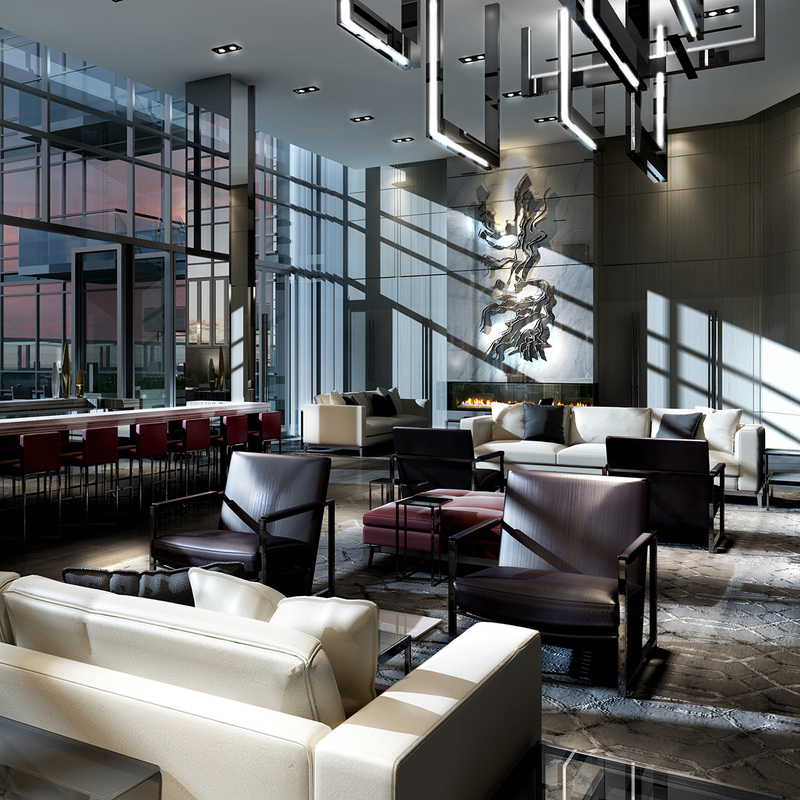 The Madison at Yonge and Eglinton consists of two residential towers, standing at 33 and 30 stories tall, rising above an 8-storey podium that houses over 60,000 square feet of retail space. 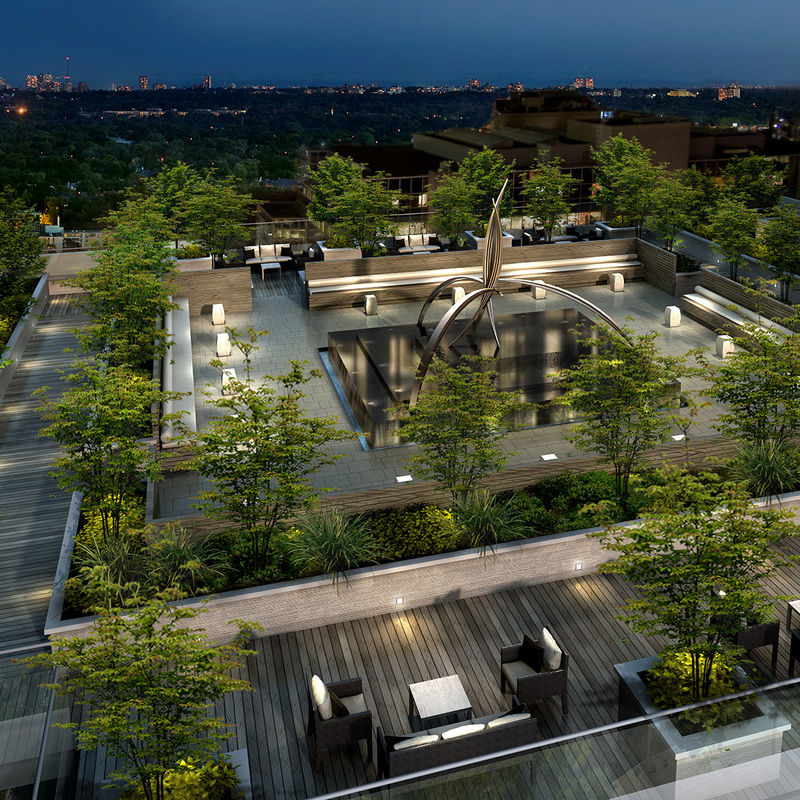 Bridging the two residential towers, on the podium’s 8th floor, is a private Zen garden enriched by a sculptural water feature designed as a serene respite. Catering to an active and health-focused community, Studio Munge’s vision embraces clean and modern luxury inspired by the dynamic movement. Fulfilling every desire, the elegant suites feature striking custom kitchens with superior finishes and state-of-the-art appliances while all spacious amenities are treated as direct extensions of the living space. 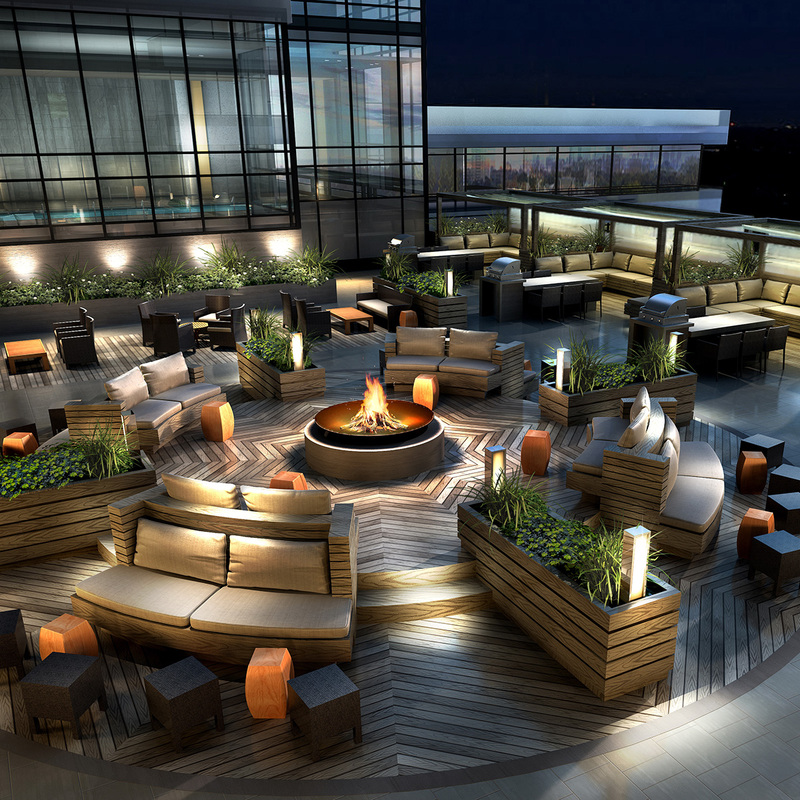 Inviting the community to reflect or regroup and interact, The Madison is more than a residential development, it embodies a sophisticated urban lifestyle. "Modern, bright and fresh, with open views onto the energizing urban landscape. 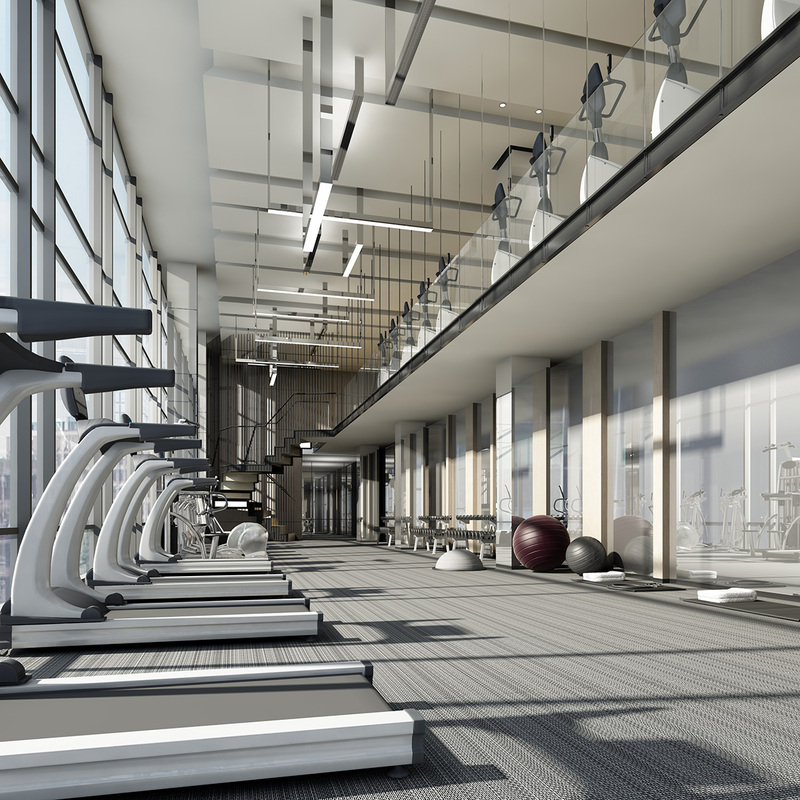 I imagined The Madison's two-level fitness center as a gift to the health-conscious residents."